Lynne Cox, "Swimming in the Sink"
Lynne Cox will be at The Book Cellar to launch the paperback edition of her book, Swimming in the Sink. Lynne Cox is an American long-distance open-water swimmer, motivational speaker, and author. Over the course of more than 35 years, spanning a period equal to 8 Olympic Games, Lynne accomplished swims setting world records and opening borders, contributed to medical research, supported environmental causes, and inspired people to overcome great obstacles. She is best known for her swim across the Bering Strait from the United States to the Soviet Union. Lynne is a gifted speaker, sharing her inspirational story around the world. She motivates audiences by describing how one can overcome extraordinary obstacles to achieve great things. Lynne’s books have documented her extraordinary athletic accomplishments, chronicled her inspiring adventure saving a baby grey whale, documented the world of exploration, and shared her 40-years of expertise with her fellow athletes. Her most-recent book, Elizabeth, Queen of the Seas is for children. In this stunning memoir of life after loss, open-water swimming legend and bestselling author Lynne Cox tells of facing the one challenge that no amount of training could prepare her for. A celebrated athlete who set swimming records around the world, Lynne Cox achieved astonishing feats of strength and endurance. But it is a different kind of struggle that pushes her to the brink. In a short period of time, Lynne loses her father, and then her mother, and then Cody, her beloved Labrador retriever. 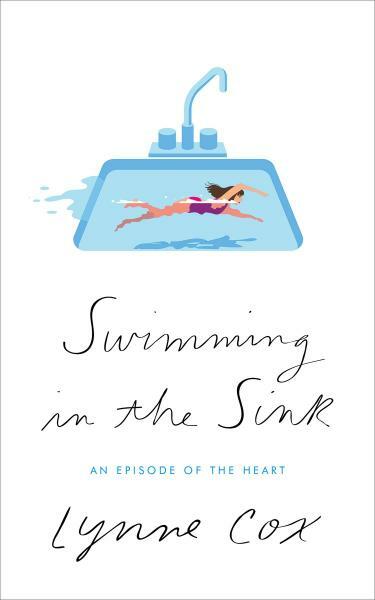 Soon after, Lynne herself is diagnosed with a life-threatening heart condition that leaves her unable to swim and barely able to walk. But against all odds, and with the support of her friends and family, Lynne begins the slow pull toward recovery, reaching always for the open waters that give her the freedom and mastery that mean everything to her. What follows is a beautifully poignant meditation on loss and an exhilarating celebration of life as she begins to find the greatest treasures--like falling in love.